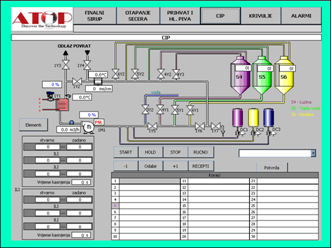 Engineered with Step7 S7315-2DP, HMI WinCC flex panel TP 270 10"
CIP station is used to clean process units in the Food & Beverages, Chemical and Pharma Industries. 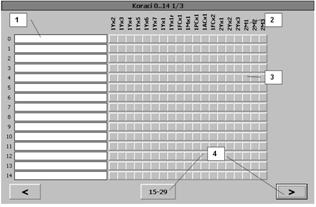 In the software we use SFC (sequential function charts) and some PID Loops. Main purpose is to make a flexible and user friendly environment. The operator is able to create own recipes according to the technological requirement. 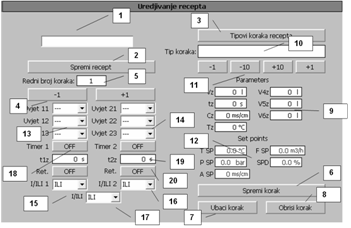 Further the operator can define his own recipe sequence by influencing every process object (motor, valve, control loop) and all other plant parameters and Boolean logic. 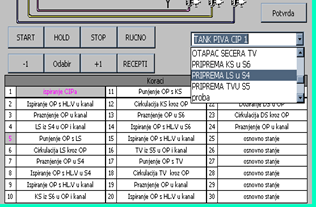 The number of steps is unlimited and can be easily edited in the Recipe Matrix Editor on the HMI and saved on the MMC card on the HMI panel.